Smart apartments for 2-6 persons in a very sunny and calmy zone; situated 500m from the centre of Ortisei. 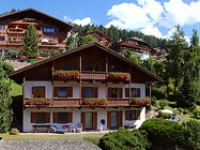 Our Residence Larciunei** is situated 500 m from the centre of Ortisei, in a very sunny and calmy zone. During the summer you'll have an ideal starting point for your walks, mountain excursions or for your bicycle tours. Allow yourself the cosiness of our garden and enjoy a wonderful view to Ortisei, the Sassolungo and the Sella group. In the wintertime you can catch the perfectly prepared slopes of the world biggest ski region, the �Dolomiti Superski� with the famous Sellaronda. 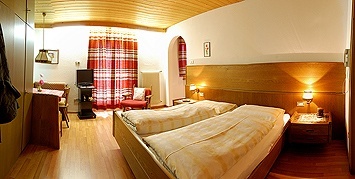 We have in our Residence 5 smart apartments with balcony or garden for 2-6 persons. Please visit our homepage www.larciunei.it !! Our Residence Larciunei** is situated 500 m from the centre of Ortisei, in a very sunny ans calmy zone.